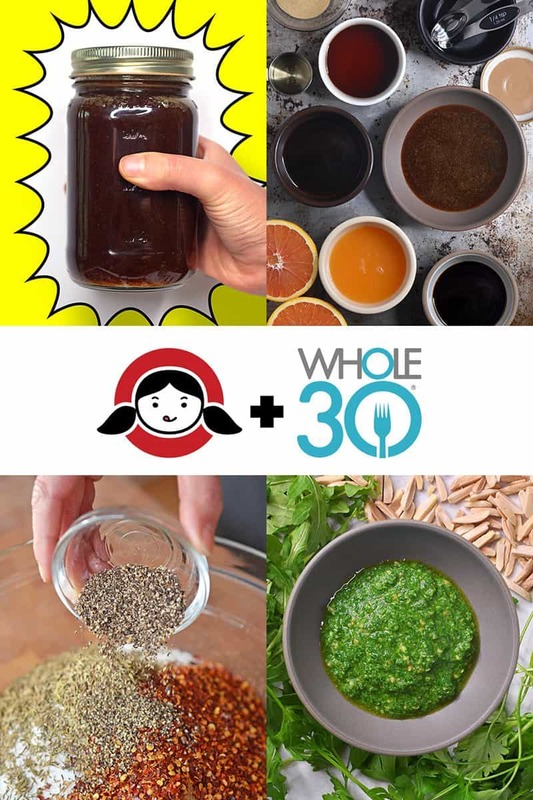 Ready for more Whole30 prep? Time to make some Whole30 flavor boosters! The hardest part of cooking is getting started. That’s why I’m bugging you an entire day before your Whole30 begins, and urging you to make three fab condiments and umami-packed seasonings. 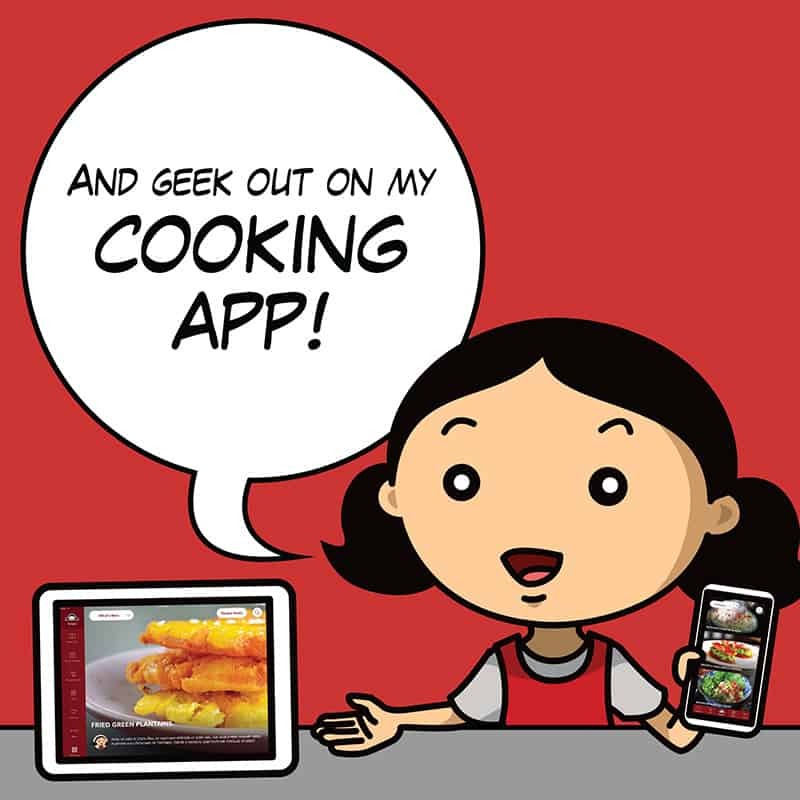 Keep ’em on hand, and they’ll help you whip up quick, tasty, and healthy meals on demand! There’s nothing like a great Whole30 pesto. No cheese? No problem—especially when you can make a bright and tasty Arugula Pesto that hits all the right notes. 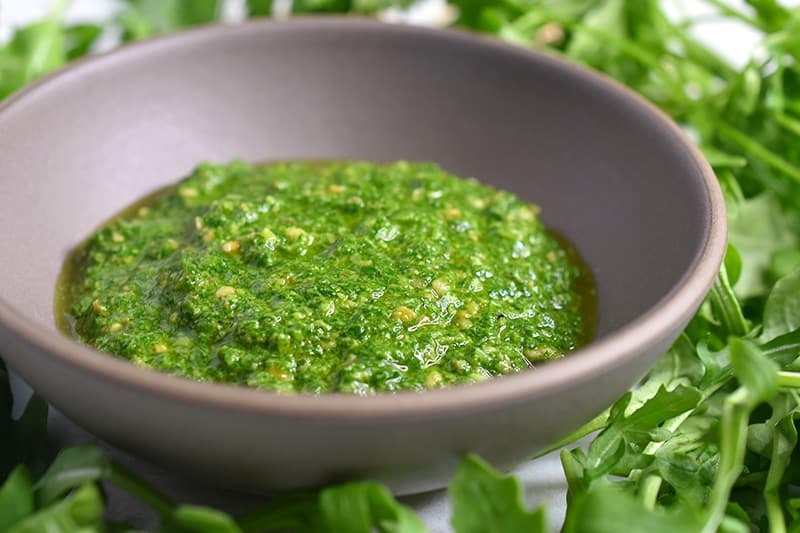 Click here for the recipe for Arugula Pesto! Despite the catchy name, this isn’t just a stir-fry sauce—it’s also a Whole30 salad dressing, marinade, dipping sauce, and more! 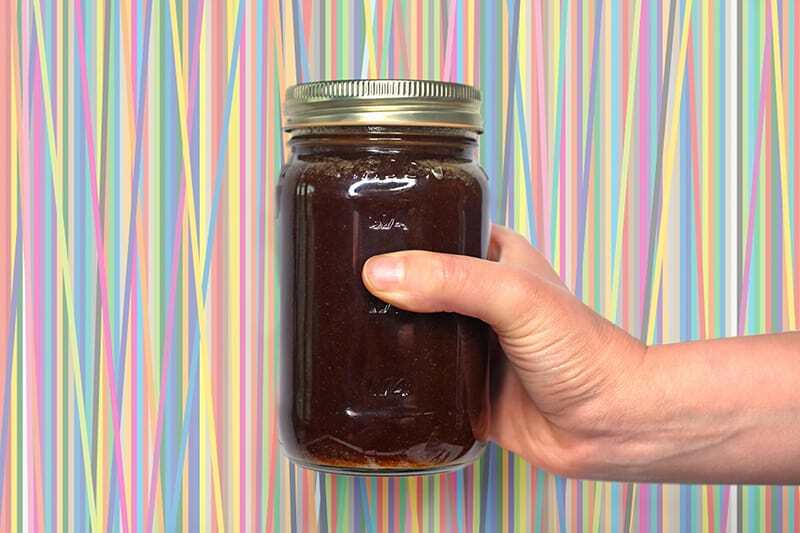 Click here for the recipe for All-Purpose Stir-Fry Sauce! This umami-packed seasoning salt is out of this world—it’ll magically transform your savory dishes from ho-hum to crazy-delicious. 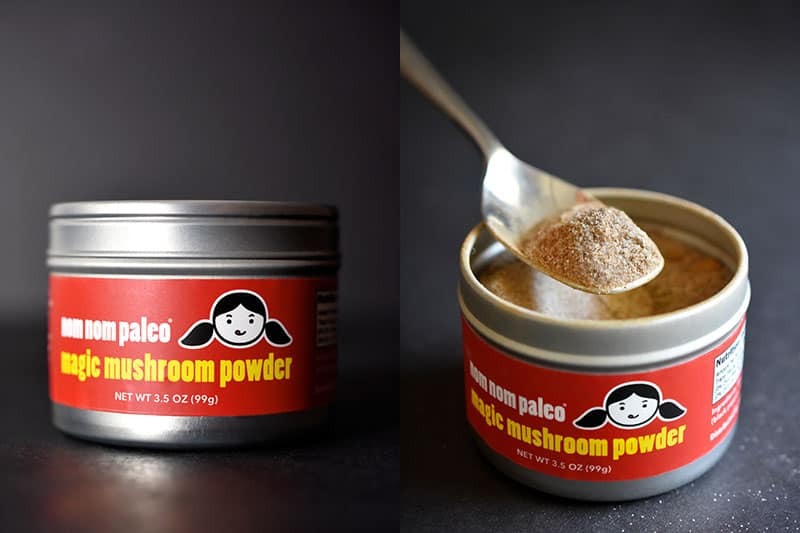 Even folks who don’t like the texture of mushrooms love my Magic Mushroom Powder! Click here for the recipe for Magic Mushroom Powder! Not sure how long these flavor boosters will last? The pesto can be frozen in ice cube molds for several months (or kept in an airtight container in the fridge for up to 4 days). The All-Purpose Stir-Fry Sauce is good for at least two weeks in the fridge (but it won’t last that long)! And the Magic Mushroom Powder will be stable on your counter in a sealed container for months. All three flavor boosters will quickly transform proteins and vegetables into lip-smacking dishes. Trust me: Make one or all three right now, because the few minutes you spend today will save you hours of prep time later. You may be wondering: Why am I featuring these three flavor boosters? Because I’ll be using ’em in some of the daily Whole30 recipes I’ll be sharing throughout the month of January 2018. (Yes, I’ll be posting on this blog EVERY SINGLE DAY IN JANUARY!) But don’t let that stop you from making the tons of other Whole30-friendly flavor boosters on my Recipe Index or in my cookbooks! Pick and choose a few more flavor boosters, and you’re virtually guaranteeing that your meals in January will never be bland or boring! Okay, gang—tomorrow’s Day 1, so if you missed my epic Whole30 Prep post, read it here. And don’t forget to check out my shopping guide over at the Whole Foods Market blog, too. Throughout January 2018, I’m partnering with Whole Foods Market nationwide! In all Whole Foods Market stores, you’ll find my personally curated Nom Nom Paleo Picks on the shelves, a rotating menu of ready-to-eat Nom Nom Paleo dishes in the hot bar, and even my famous Magic Mushroom Powder available for sale!